Deal of the Week – SOLD! It’s Deal of the Week time again! And I think we should be congratulated on remembering to have a Deal two weeks in a row. To celebrate this huge accomplishment and because we are feeling really happy today we are selling off something quite great. 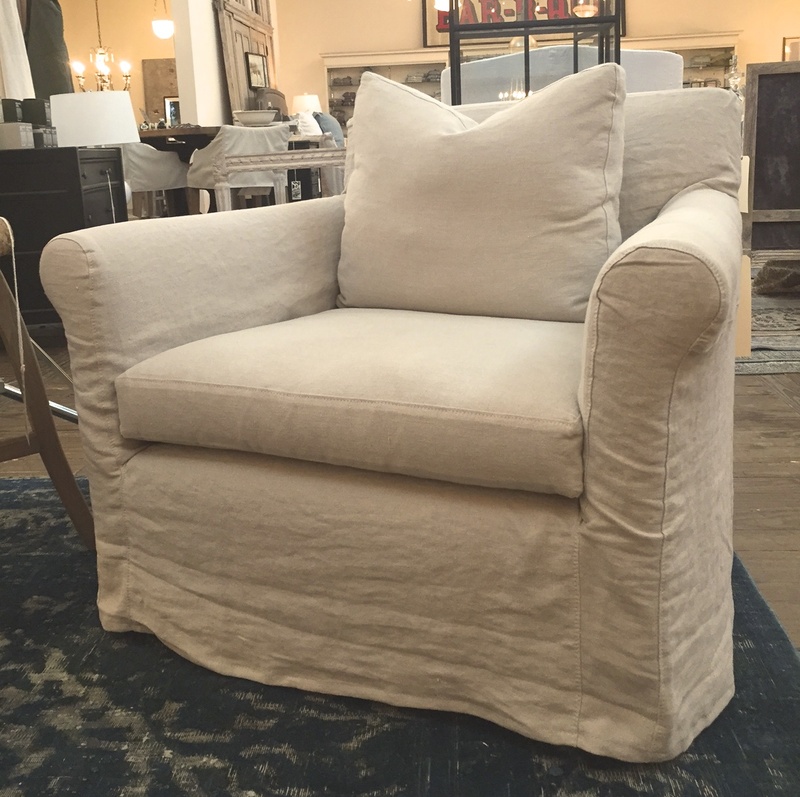 This is a beautiful slipcovered chair from Cisco Brothers. 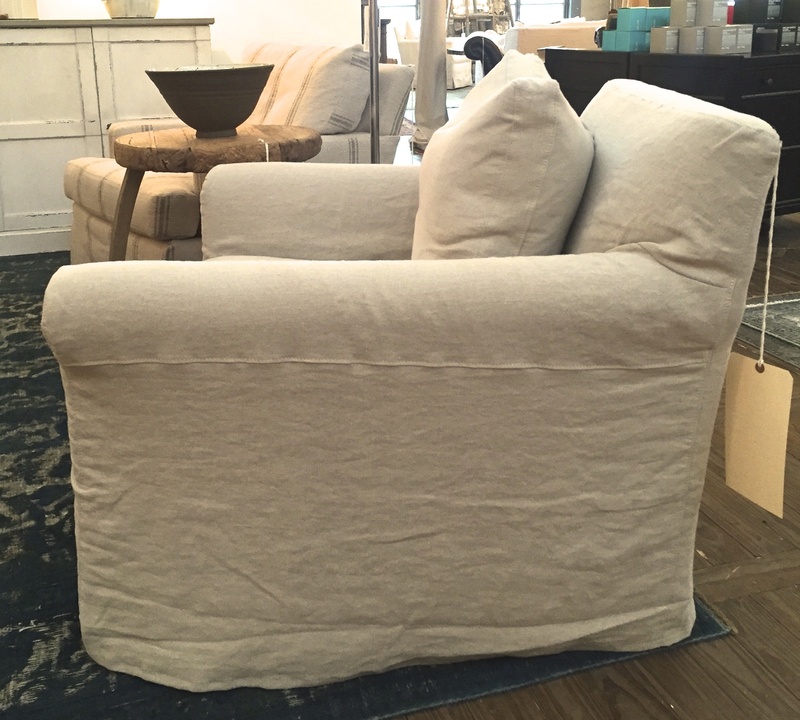 It has a washable linen cover in a light weight natural linen. It is a simple, clean, classic frame – put it anywhere, put it with anything – it’s a chameleon. It can be friends with pretty much any furniture or any room. Oh, and it’s comfy. But wait. This is important. 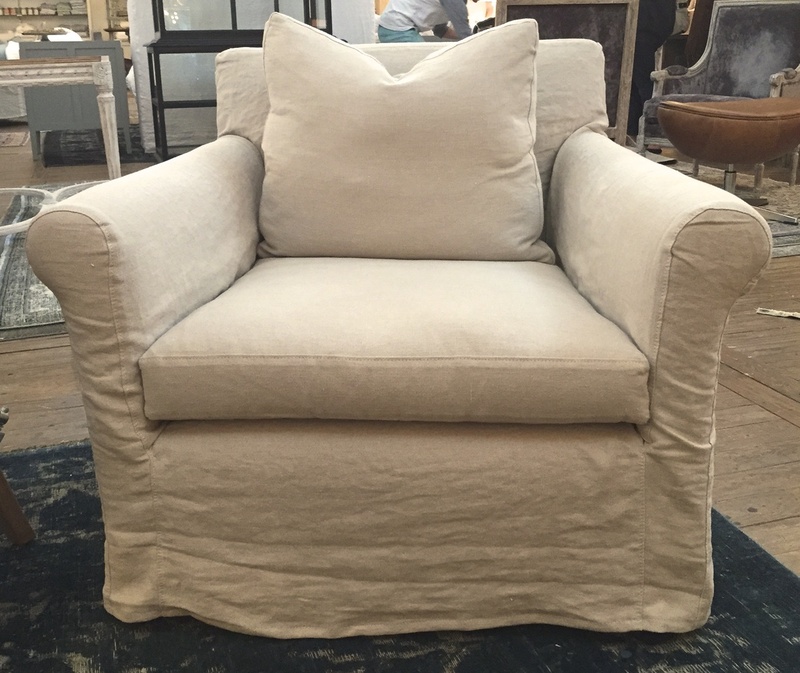 If you don’t like wrinkle-y relaxed linen (and if you don’t, you’re dead wrong) you should really walk away from this deal. Really. It will wrinkle no matter what. I mean, come on, it’s linen. Type A buyers beware! original price – $2490 sale – $600!!! And one more thing, while I have your attention I need to let you all know that We will be closed this holiday weekend in observance of Memorial Day – Saturday thru Monday. We will reopen on Tuesday morning at 10am. We hope you enjoy your weekend!